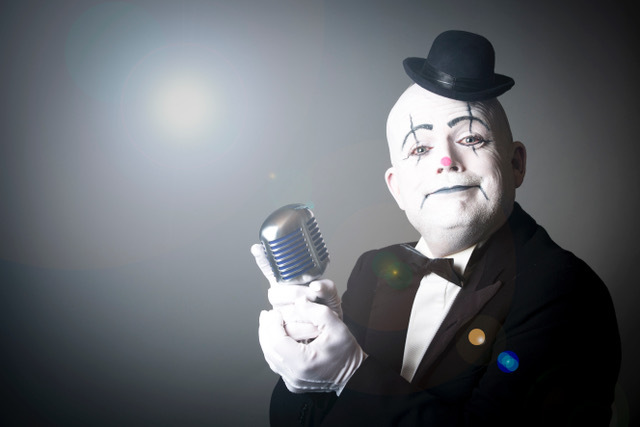 Rusty’s Fun show is perfect for any Party, Weddings, Corporate Events and Private Events. The perfect addition to a drinks reception, dinner or after the meal for a fun filled show. At first glance Rusty is just a sad clown at the wrong function, but once you get to know him you’ll realise he has a few surprises up his sleeve. Once the performance begins Rusty reveals his hidden talent. An extraordinary singing voice that will surprise and delight your guests. From Opera to modern classics he captivates your guests encouraging them to join in the fun. His silent persona and friendly look will intrigue everyone. This interactive show uses the elements of surprise, charm and intrigue. Who would expect a clown to walk into an adult function? Will he tell a joke, make a balloon model? No he’ll charm and delight the party with beautiful songs and laughter. He’s the little man with the big voice. 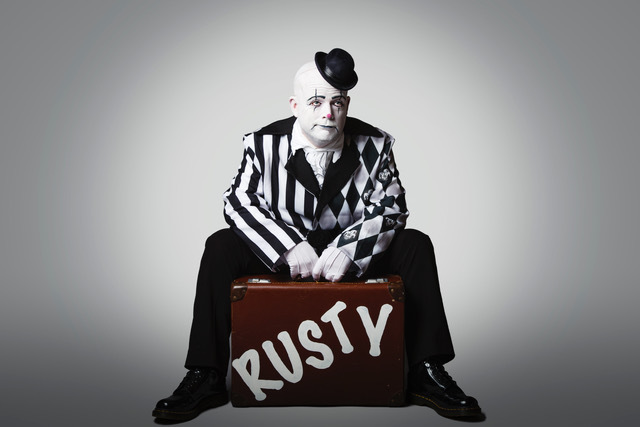 Rusty’s performance has wowed audiences with humour, style and sheer unique talent. Jason has had a varied career singing Opera, Jazz and musicals which has taken him all over the world. His personality never fails to win the crowd. Jason’s trained in theatre and at the age of 17 he was sent in the direction of London’s West End, with numerous tours an regional shows along the way. He moved into the world of events and over the past 18 years he is very proud to have toured Europe with the world renowned “The Three Waiters’. He also presented his own one man show to hundreds of audience around the country.